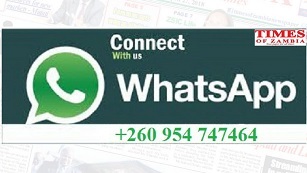 Times of Zambia | Whose slogan is Mpaka Litente? Whose slogan is Mpaka Litente? THE Patriotic Front (PF) and United Party for National Development (UPND) are two political parties whose campaign songs have dominated the airwaves so far. Mpaka litente, is a slogan adopted from the football fraternity to mean that until the ‘net shakes’, denoting goals that shake the back of the goal net. Interestingly, this slogan is being used by ‘rival’ political parties in their campaign songs, one then wonders which political party initiated the Mpaka litente slogan. We have heard a number of political songs that have been composed and play on radio whose lyrics counsel and rebuke politicians. 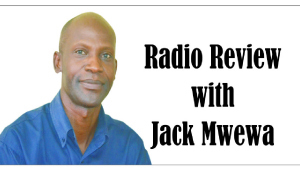 Not only are such songs opportune in times like now when Zambia goes to the polls, but could be awakening to would-be voters who listen to the radio. Take for example a song played last week by Valentine Mukuka, who is ‘the DJ Veep, Man with Information, son of a Carpenter’ on the programme ‘Catholic Social Teachings’ on Radio Icengelo. How long this a go continue? And how long you believe you ago last? Social Teaching is one uncompromising programme on which guests, among them Catholic priests who discuss issues affecting the community. The message in song can be loud and clear to both the electorate and aspiring candidates to assert their minds. One Zambian reggae artiste Maiko Zulu, who is coincidentally vying for a parliamentary seat in Kabwata Constituency in Lusaka remixed a Rikki Ililonga old time piece, Olemekezeka, to mean Honourable. In that song politicians are reminded of their past and the promises they make to serve the people, yet end up misappropriating funds meant to develop the constituency. The influence of messages in songs, especially those done at political rallies has an impact on would be voters. Going by the topic that was being discussed, it was appropriate that a song with a related message play in the background. Shalom Zambia, that unique religious programme on Zambia National Broadcasting Corporation (ZNBC)’s Radio 4 had a different presenter in Ken Mwansa last week. Mr Mwansa though, isn’t new on the programme as he is one of those who pioneered the programme before Leah Lenga. Rabbi Alex Lenga was, however, on hand with a discussion, this time centred on how the advent of Smart Phones has been interfering with marriages. Discussing the effects of radio and how presenters ought to behave while on air, Dannet Siame and David Maxi Mus realized they were talking over a Daddy Zemus song, ‘Zegede Zegede Zegede’ and replayed afresh. This was on Sun FM Monday late night presentation.